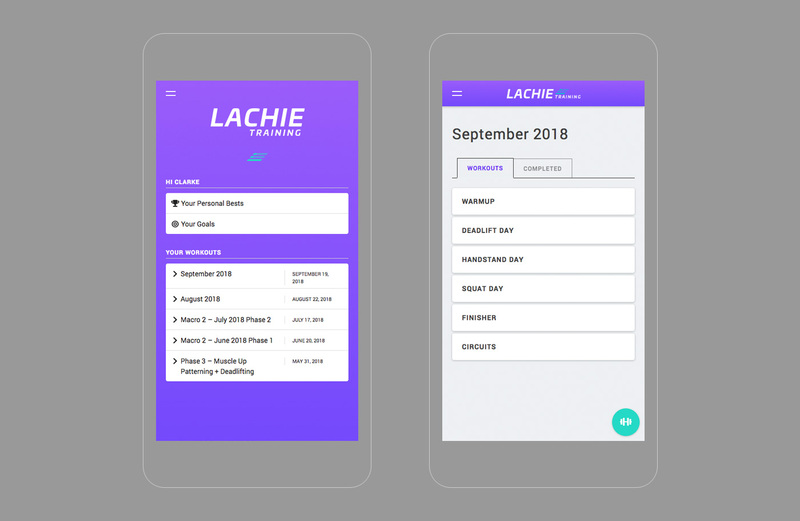 A personal project that started as a very basic html version of work-out plans supplied by my trainer (so I could just look at my phone instead of taking a piece of paper – which I’d invariably loose and/or rip) and has morphed into a full-fledged CMS. 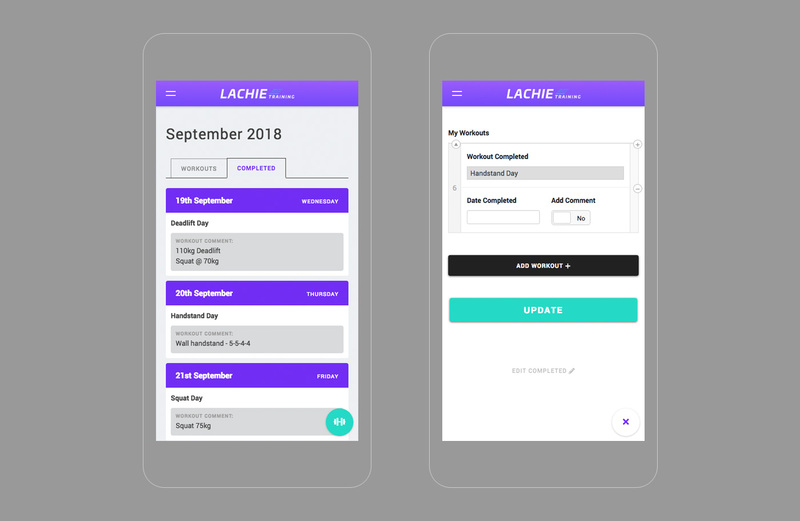 Everything is done on the front-end, so users and admins (trainer) can edit and add to the sections available to them all from the front-end once they are logged in. 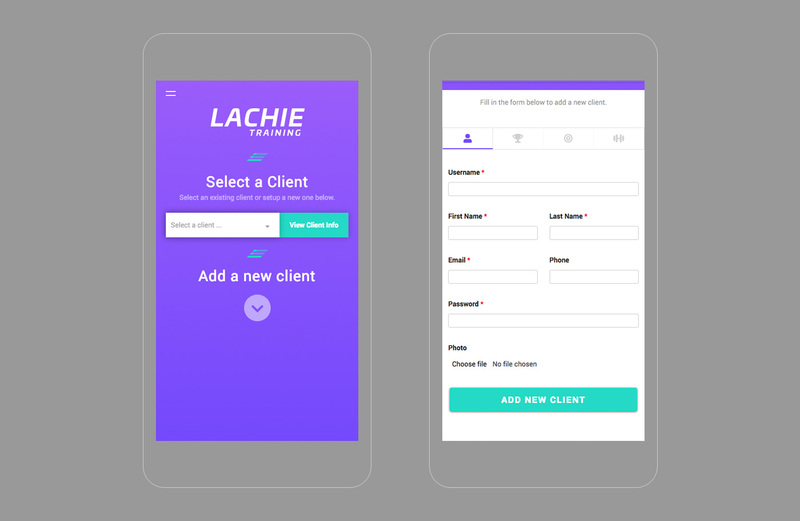 – A trainer can login, add a new client or view an existing. 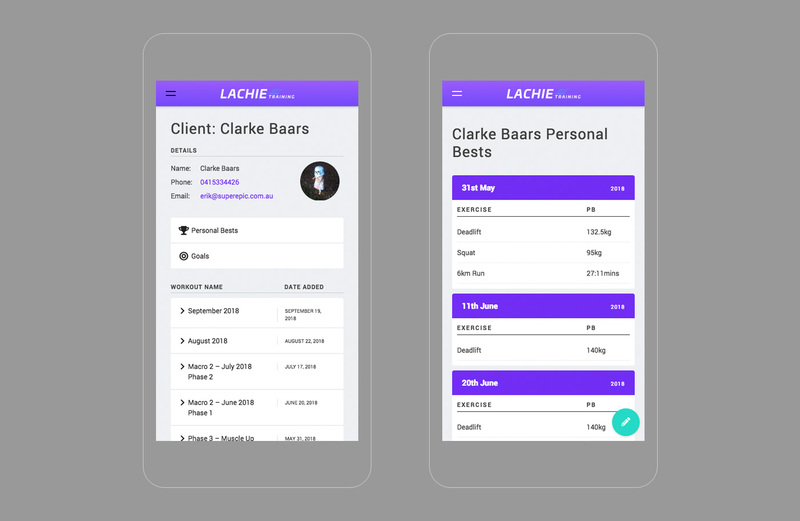 – When adding a new client, they go through the steps of adding Personal Bests + Goals + A workout (don’t have to fill in anything, but so the pages are created and can be edited later). 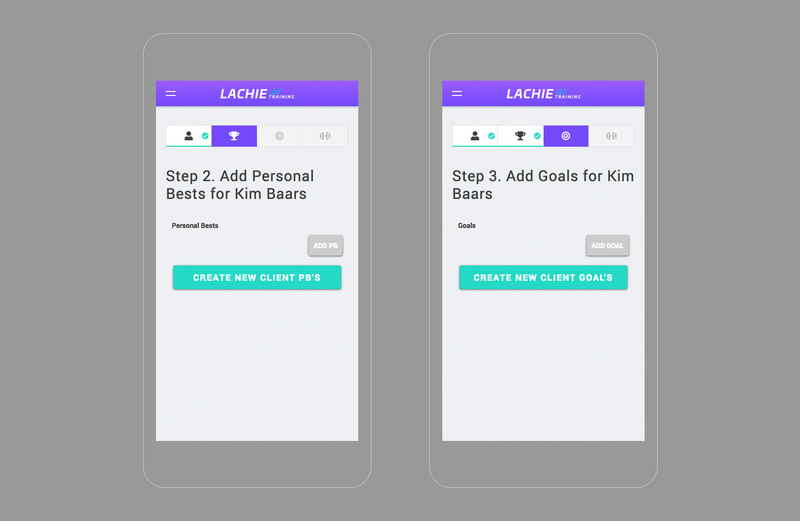 – As the admin (trainer) they can edit the ‘Personal Bests’ and ‘Goals’ of their client. – Personal Bests, Goals, and Workouts can be edited/added to or removed. 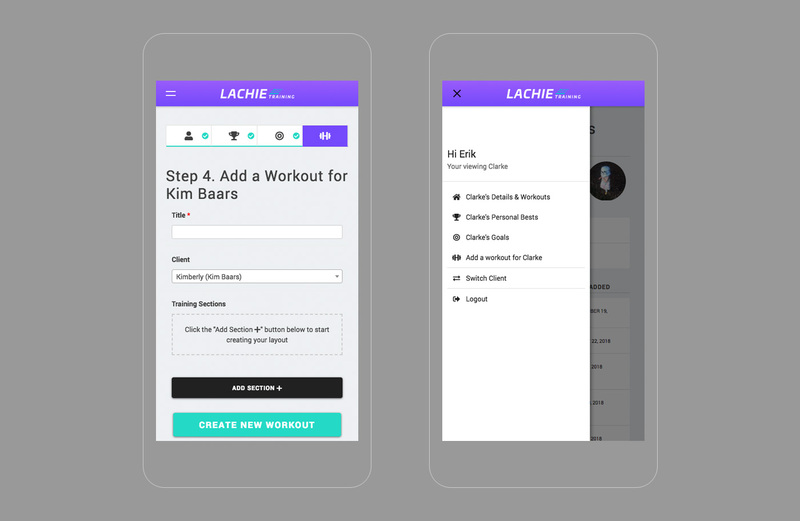 – After logging in, view Personal Bests, Goals, & view a list all workouts. 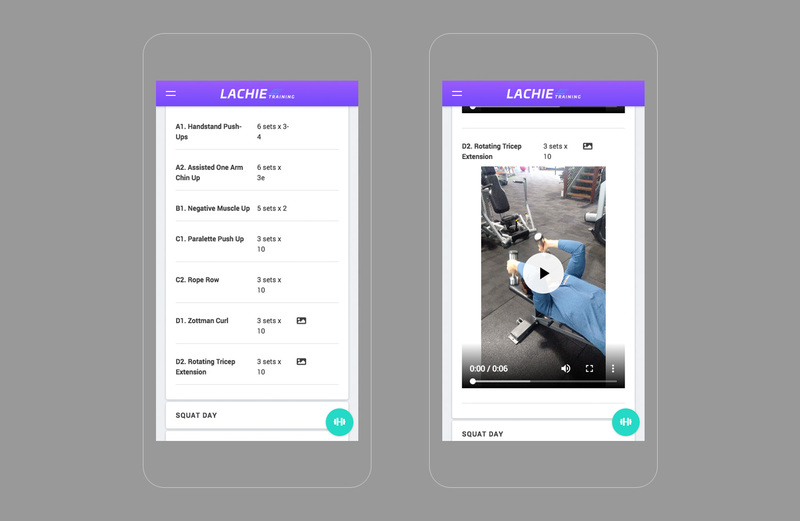 – When viewing a workout, by clicking the icon, they can record there workout and add any comments (So the trainer can see progress between PT sessions).